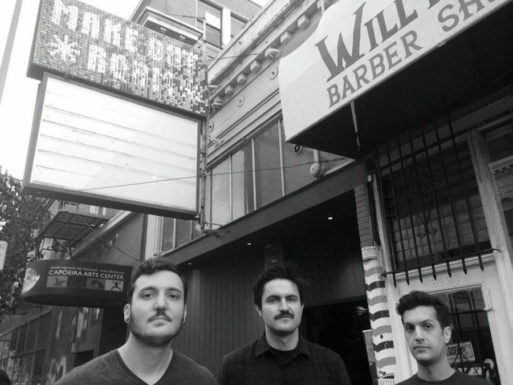 Ten years after they met in high school in the suburbs of San Jose, California, Jared, Michael, and John formed Balms in San Francisco in 2013. At first playing loud pop-rock sets in John’s basement, as the band spent more and more time in San Francisco record stores and venues, their sound began to evolve — dreamy at first glance, but raw at the core of it. Some used the term “dreamare pop” to describe their sound: dream pop mixed with an uneasy, dark undertone of a nightmare. Armed with the sound of fuzzed out guitars, melodic bass, clear above-ground vocals, and dynamic percussion, the band self-released their first series of singles. With glowing reviews and the support of the underground shoegaze community, the band spent the next year self-recording, mixing, and releasing their self-titled EP. The band went on to tour the west coast extensively, where they honed in on an energetic yet vulnerable live performance. 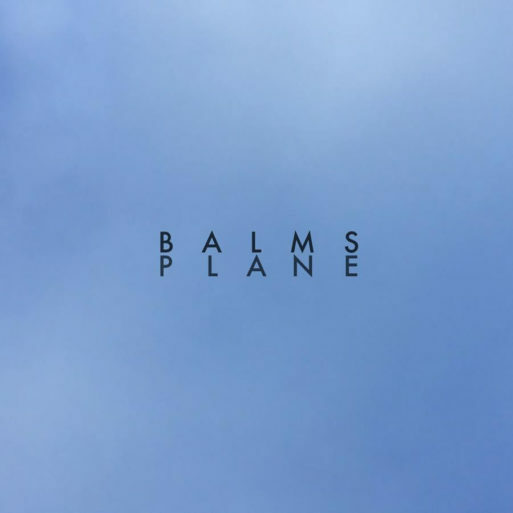 In the last few years as they wrestled with unfolding questions, the realities of their lives, and with each other, Balms went on to write what would become their debut LP, Mirror. An introspective record with a heavier, darker tone, the album narrates the confrontation of one’s shadow self. ‘Mirror’ is slated to release in February 2019, with a tour forthcoming. ‘Mirror’ is our debut as well as double-sided concept album. The album’s narrative is a journey-of-self; an exploration confronting the shadow-aspect of the soul. That being said, the only two characters in this story are the Self and the Shadow. With this comes the introverted drama and solitude of the ego. And while this was a source of contention for us in terms of perception, it is our genuine hope that this album can exist as a place of reconciliation, revitalization, and growth. It is a place that has been built for you because we had to make it and to make it the best we can. The story begins at the bottom – the relative place that some of us are lucky enough or damned enough to reach. And with that place comes a choice: Do I rely on someone else to pull me out? Do I retreat to someone else’s arms? Do I make a choice to dive into myself and deal with the darkness? That moment can become you for the rest of your life, or become the beginning. What choice do you make? Who do you choose to be? And after, to realize that this is a choice you must continue to make for the rest of your life. The shadow inside will always continue to tempt you; it never leaves. The dark, the dove, the shadow is you. To write this record, we spent a considerable amount of time working out the parts and structures through repetitive jamming followed by conversation over the course of about a year. On a personal level, the lyrics and story are journalistic, confessional, healing, confrontational, and accepting. As a band, we dealt with these questions and realities through the songs and through our relationships with each other. As we began to mix and finalize the album, and it began to take shape, it was challenging to grasp exactly which part of the album was most important, or if there should be a message communicated directly through its release. We finally came to the conclusion that the most important thing is for this record — ‘MIRROR’ — to be a healing and nurturing place for you. It certainly is for us.